The festive season is well and truly underway here at Rostrum! Michael Bublé and Mariah Carey have become part of our day-to-day lives (along with all the Christmassy snacks and mince pies), and we have overhauled the office with copious amounts of tinsel and baubles. It’s such an exciting time of the year, with so much to look forward to over the next couple of weeks in the lead up to Christmas. We have our highly anticipated Christmas Party coming up, which is being held at the famous Brown’s Hotel in Mayfair this year. We also have a number of team social events lined up, including trips to Winter Wonderland, as well as Secret Santa to prepare for! With so many celebrations at this time of year, it’s easy to forget those who are less fortunate. We have therefore decided to work with some fantastic charities this Christmas, including the Margins Project, with lots of the team donating warm clothes for the homeless this winter. Margins, a secular charity based at Union Chapel, offers a range of services to support people facing homelessness, risk of homelessness and crisis in Islington. These services aim to help people in their hour of need and with their long term recovery. We are also taking part in the Giving Tree, which provides gifts for children escaping domestic violence. Each member of our team has taken a tag from the tree that includes a child’s wish for a gift this Christmas (think magic sets and cuddly toys!). We are then able to buy a child a gift and leave it by the tree ready for collection. 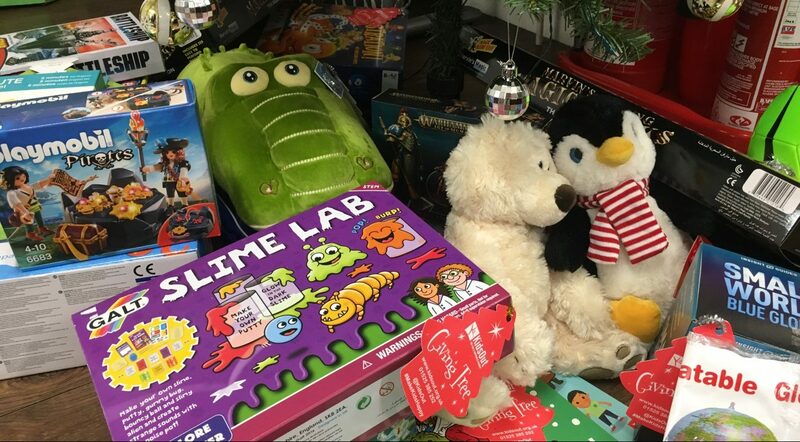 A lot of children would not receive a gift without wonderful charities such as the Giving Tree, so we are thrilled to be able to play a part in providing children with gifts this Christmastime. Without a doubt, this is a special time of year, and all of us at Rostrum would like to wish you a very Merry Christmas and a Happy New Year!